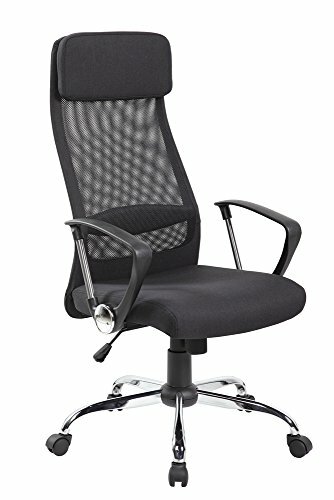 This Executive Office Chair ES-8045 that is ergonomically designed to provide comfort while working. Furnished with high-quality fabric upholstery and sponge filling, this high-back executive chair adds a fresh look to your workspace. Its seat height adjustment mechanism regulates the chair height and provides a balanced support to lower back. You can change the back angle with the help of the back tilt mechanism that enables you to recline while reading or working. The chair offers optimum comfort with the lumbar support that fits your spine curve. If you have any questions about this product by eurosports, contact us by completing and submitting the form below. If you are looking for a specif part number, please include it with your message.